UPPSC PCS Syllabus 2019: Uttar Pradesh Public Service Commission is recruiting the qualified candidates for various posts i.e. various vacancies available under Provincial Civil Services. The Combined State Upper Subordinate Exam will be conducted to fulfill the purpose. Interested candidates can apply for the exam before the last date and can collect the details about the UPPSC PCS Syllabus 2019 from the official website. However, we are also providing the exam pattern on our page so read the article to the end to get the UPPSC Upper Subordinate Exam Syllabus 2019. Latest Update: UPPSC is going to conduct the UPPSC PCS Prelims Exam 2019. All the candidates can check the Exam Pattern, Syllabus etc from here. Name of the Post SDM, DSP etc. Candidates who are going to appear in the exam can check the exam scheme right here on our page. Below are given the UPPSC Lower PCS Exam Pattern 2019 for the prelims and the mains examination. 1/3rd of the marks allotted to the particular questions will be deducted for each wrong answer. Shortlisted candidates will be considered for the Mains Exam. 1. General Hindi 150 3 hrs. 2. Essay 150 3 hrs. 3. General Studies I 200 2 hrs. 4. General Studies II 200 2 hrs. 5. General Studies III 200 2 hrs. 6. General Studies IV 200 2 hrs. 7. Optional Subject 400 3 hrs. Paper will be objective as well as subjective type. Interview will carry 100 marks for the selected candidates. You need to prepare hard for the upcoming Prelims Exam then only you will be able to appear in the further process that is Mains Exam and Interview. Uttar Pradesh PCS Exam Syllabus will assist you throughout the recruitment and will show you the right direction to prepare. 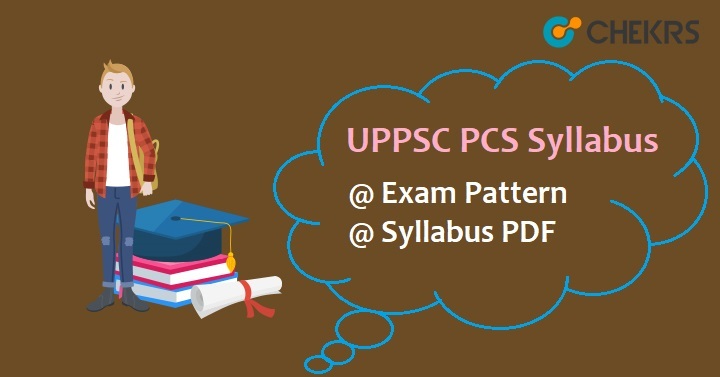 However, you will require the UPPSC PCS Exam Pattern 2019, to make the preparation strategy, which has been given in the successive section of the article. The elaborated and comprehensive form of the syllabus has been provided below. To score good marks in the exam, you need to master yourself in every topic. Public Policy, Rights and issues etc. Natural Calamities, Landslide, Earthquake, Deluge, Drought etc. Remarks: If you are having any queries related to the article then do not hesitate to ask. You can drop your comments in the below provided commenting box.